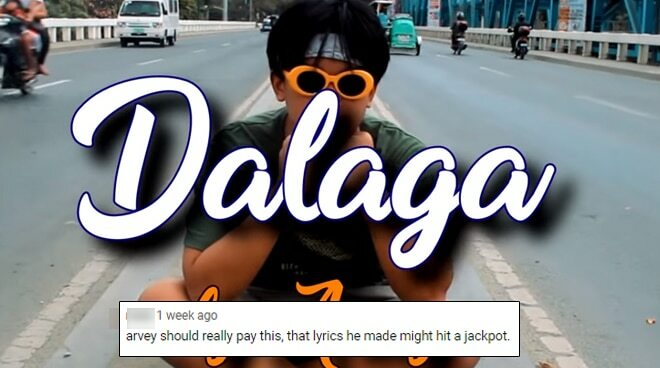 Netizens say Arvey's 'Dalaga' rap was plagiarized from a Korean-based music producer. The Tagalog rap song, the music video for which was already deleted from YouTube, supposedly used parts of a song by a Korean-based music producer named Mixtape Seoul. According to the music company, they have already tried to reach Arvey, but received no response from the rapper. "We are aware of the situation going on recently with an artist using our music without any permission from us. We try to contact him but there is no response till now. So we have to make a claim on YouTube and [are] waiting. We are trying our best to resolve this situation. 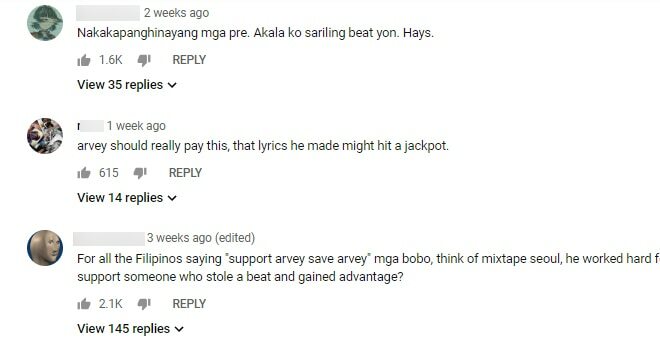 Other comments on the video showed Filipino fans airing their disappointment with Arvey, saying that he should have just paid for the rights because the song is actually a hit. “Dalaga” song covers have been trending on social media, two of which have already reached 671,000 plus and 134,000 plus views.